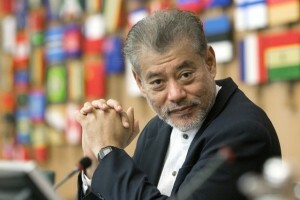 Jomo Kwame Sundaram was the Assistant Secretary-General for Economic and Social Development in the United Nations system during 2005-2015, and received the 2007 Wassily Leontief Prize for Advancing the Frontiers of Economic Thought. KUALA LUMPUR, Malaysia, Jul 7 2016 (IPS) - When the financial crisis preceding the Great Recession broke out in late 2008, attention to the previously ignored UN Secretariat’s analytical work was greatly enhanced. This happened as the UN and the Bank of International Settlements (BIS) had been almost alone in warning, for some years, of the macroeconomic dangers posed by poorly regulated financial sector developments. In contrast, most other international organizations – the IMF, World Bank and OECD – which monitor developments in the world economy have failed to see the crisis coming. Until the third quarter of 2008, they were still predicting continued robust growth of the world economy, and, ‘soft landings’ in the unlikely event of financial turmoil, including in the US. Thus, the UN was in a strong position to lead the global response to the crisis. However, although ‘second opinions’ were offered to Member- States upon request, in practice, it largely remained business as usual. Each part of the international system carried on with their own work programs with obligatory references to the crisis and its impacts. There was no coherent response or sustained attempt to seriously address fundamental issues. Meanwhile, although there have been some occasional signs of recovery, economic stagnation in most developed economies continues, with high joblessness and underemployment. Occasional signs of recovery have been uneven, and easily reversible. Early withdrawal of stimulus measures in 2009 pushed the global economy into stagnation, especially as private consumption and investment spending remained weak. Most developing countries have remained vulnerable, with little fiscal space to be able to respond to shocks. Their policy space remains restricted, especially following the collapse of mineral and other primary commodity prices, and continued denial of the need for counter-cyclical macroeconomic policies by most influential policymakers. The poorest countries and communities also face the prospect of a resurgence of poverty and hunger. In recent years, the push to cut social security institutions and spending threatens to eliminate the main remaining forms of social protection. Meanwhile, efforts to strengthen prudential regulations in developed countries have been indefinitely postponed since 2009, with the first signs of recovery in response to financial market pressures, once it had been rescued. Since then, there has been little serious discussion of reforms in the international financial system. In 2009, the UN Secretary-General called for a Global Green New Deal, seeking internationally coordinated fiscal stimuli, involving major investments in renewable energy and other long-neglected global public goods. At its April meeting, the G20 successfully mobilized over a trillion dollars, but these mainly enhanced IMF resources and thus further empowered the Washington-based international financial system. The UN emphasized the promotion of sustainable energy to address the looming climate change challenge. In the face of limited private investments, it argued that public investments had to take the lead, to help quickly bring down the unit costs of renewable sources. But the proposal was then rejected as inappropriate owing to the higher costs of renewable energy. In fact, subsequent developments have shown that the UN was too cautious as the costs of renewable energy have fallen much faster than it anticipated although the recent oil price collapse has limited its competitiveness once again. Another element in the UN proposed New Deal involved strengthening world food security by encouraging investment in food agriculture by small farmers, again with public investment leading, supplemented by ODA. In addition, there was growing recognition of the need to completely eradicate poverty and hunger with extraordinary measures under the rubric of ‘social protection’. In so far as such measures would also enable beneficiaries to enhance their productive assets and capacities, they would also ensure higher incomes and more investments, thus accelerating economic recovery, greater resilience, and self-reliance in the medium term. Recognizing the critical role of the 1944 Bretton Woods conference and the institutions it created for post-war recovery and post-colonial development, the UN also called for reforms to the international financial system to better address new circumstances and challenges. The 2008 second Financing for Development conference in Doha reiterated the Monterrey Conference’s call to mobilize the international community for accelerated debt relief, improve international tax co-operation, better developing countries’ access to developed country markets, and enhance developing country access to technology, especially for life-saving drugs and renewable energy. If UN initiatives had not been blocked by some OECD countries, it is likely that the world would have developed a debt management framework to address the Icelandic, Greek and other debt crises as well as greater international tax cooperation to better address massive and still growing tax evasion and fiscal constraints faced by so many governments today. The June 2009 High- Level Conference on the Global Financial and Economic Crisis made specific proposals for urgent actions, many of which were later elaborated by the Stiglitz Commission Report’s recommendations. But some hints of recovery provided the pretext for the U-turn to ‘fiscal austerity’ in Europe once the commanding heights of most powerful financial interests had been rescued. In early 2009, the UN system committed to supporting Member States to re-orient their macroeconomic policy frameworks to include full employment as an explicit target for both developed and developing countries. But without resources and facilities to support the provision of appropriate policy advice, few countries have sought UN assistance for counter-cyclical macroeconomic management since. Thus, despite its longstanding mandate and better track record than most other international financial institutions, a greater pro-active role of the rest of the UN system has been denied by a coalition of powerful countries. Sadly for the world, this marginalization threatens the very future of economic multilateralism, as has long been evident from the continued hegemony of the Washington Consensus, and at the Addis Ababa third UN Financing for Development conference last July and the World Trade Organization ministerial in Nairobi in December.